But it's still unclear exactly how they'll get there. The United States hasn’t sent an astronaut beyond low-earth orbit since 1972. Trump’s latest order directs the NASA Administrator to lead a new US space exploration program, one that will bring Americans back to the Moon and onward to the Red Planet. Robert M. Lightfoot, Jr. is presently acting administrator for NASA. President Trump nominated Jim Bridenstine for the role in September, but he has yet to be confirmed by the Senate. The President has now signed two orders in favor of ratcheting up the nation’s space exploration programs. In June, an executive order re-established the National Space Council, an advisory board that has been out of commission for around 25 years. 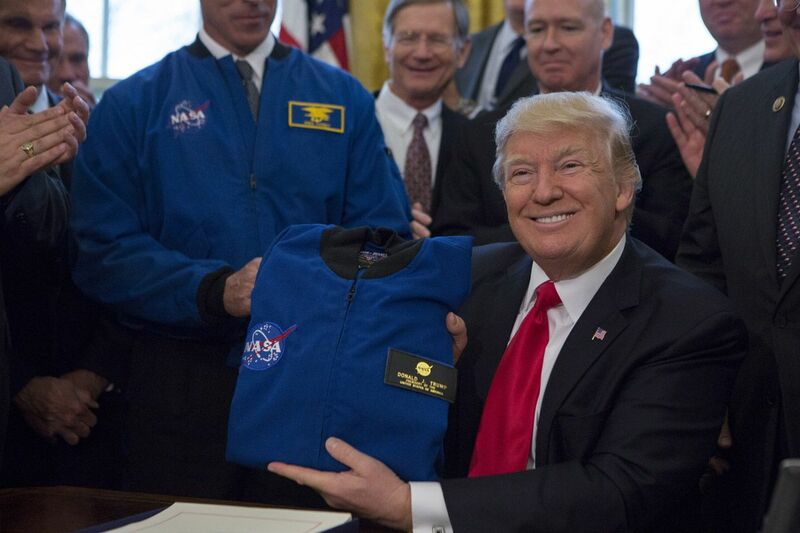 Making the American government a formidable force in space exploration was one of the Trump campaign’s major promises leading up to the election last year, and the administration has made it clear they believe space exploration is a good economic opportunity. Vice President Mike Pence, who will chair the reinstated National Space Council, emphasized this when he stated, “Our space program needs new leadership, and a new vision,” at a campaign rally in Florida in October 2016. This order by the President shows the administration is moving forward to institute that leadership. Yet the President’s overall leadership has been under question since he took office nearly a year ago. His administration has been plagued with scandal that only seems to be getting worse each news cycle. Some may point to this order as a distraction from the many scandals swirling through the West Wing and throughout the country. When Donald Trump took office, we noted that The White House removed all mention of climate change from the website, and we noted that, given the way that Trump campaigned, it was unlikely that any information about climate change would make its way back onto the website. It seems that these fears were justified. To that end, given his history of doing the opposite of what scientists and technology experts recommend, the President’s motivations for this order are the question of the hour, especially given that (as previously noted) NASA is already actively working to put astronauts on Mars. More funding and focus on space exploration is fantastic — but coming from an administration that denies the basic science of climate change, it’s hard to celebrate.